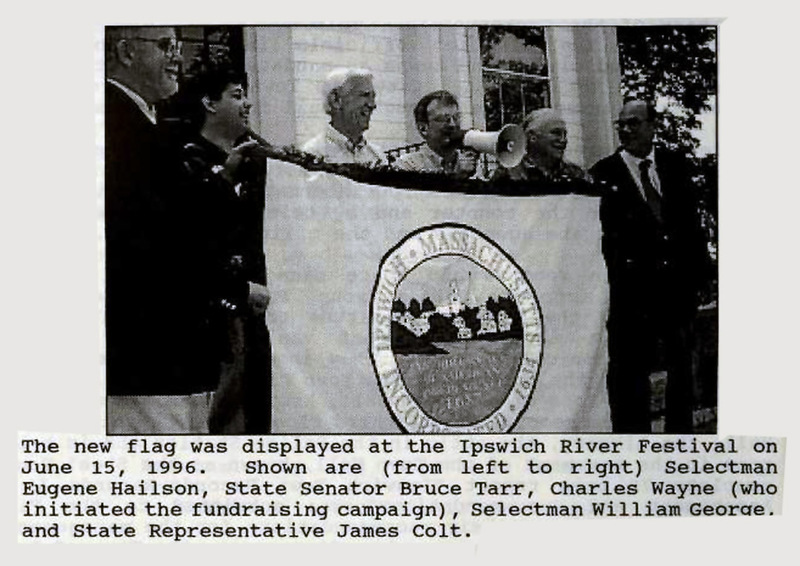 “This year, the Town Clerk’s office was involved in designing a flag for the Town of Ipswich which was requested by former Selectman Charles Wayne. Ipswich, despite its long and rich history, had never had a Town flag. The flag was designed with the assistance of engineer/ computer whiz Andy Agapow of Burleigh Avenue. 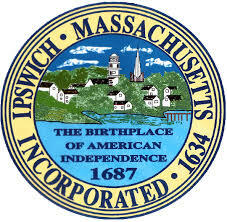 The flag has a “cleaned-up,” full-color version of the Town seal on a white background with a royal blue border and fringe. The seal has been changed slightly so it is more readable from a distance. 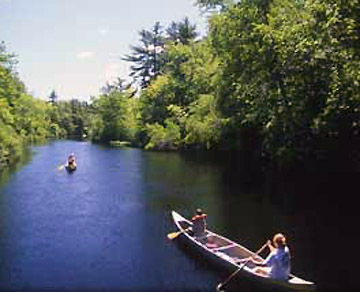 Both individuals and community groups, (50th Anniversary Committee (WWII), Lions Club of Ipswich, Kosciusko Club, Polish Legion of American Veterans, St. Lawrence Literary Society, Roland & Diane Gallant and Inge Hardy (in memory of Capt. Arthur Hardy) donated more than $1,600 to create three flags for the Town. 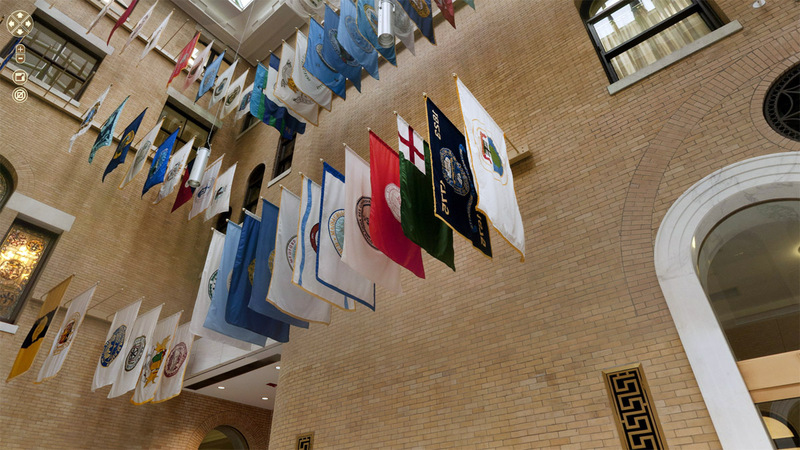 The Ipswich town flag hangs wth 351 other municipal flags in the Great Hall of the Massachusetts State House. Gordon Harris, thanks!And thanks for sharing your great posts every week! Thanks, Living in Ipswich turned me into an historian–its good to know so many people are reading these stories. 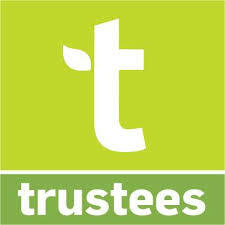 I was Chair of Ipswich Historcal Commission back then. I sometimes forget the giving and dedicated individuals . Thank you for making Ipswich great. Thanks Donald, I hope all is well. I’m looking forward to a tour of your house someday.